When travelling, talk to the locals, always talk to the locals. They are a source of information a thousand times more valuable than any published guide or regular travel website if you want to discover interesting things. There are is no local bus connecting Korenica to Plitvice natural park, so to get back home at the end of the previous day visit we had wait at the bus stop outside the park for one of the regular line coaches that go from Zagreb to Zadar or Split and hope that there were free seats, which did not seem very likely in view of how many Japanese tourists and backpackers were also waiting with a booked seat. When the coach arrived it was full, but fortunately, even though Croatia had been a EU member for about three years, the health and safety obsession that seems prevalent in most member countries had not yet made it into people’s lives here, so we were just told that we would have to stand on the aisle. A Japanese tourist got off at the first stop, freeing up a seat for Nat, and then a local guy who was seating at the front, in the guide’s jumpseat, chatting to the bus driver, invited me to seat with them. 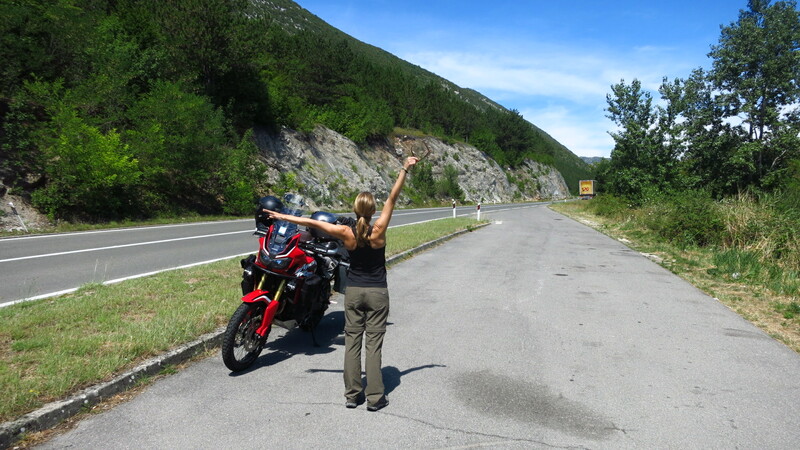 We quickly got talking about motorbikes and places to visit in the region, and then he pointed out the left side windows at a mountain with some antennas on top and told me that it was Plješevica Mountain, the tallest in the region. Then, in a more hushed tone, he said that hidden behind the mountain there was a ‘secret airport’. 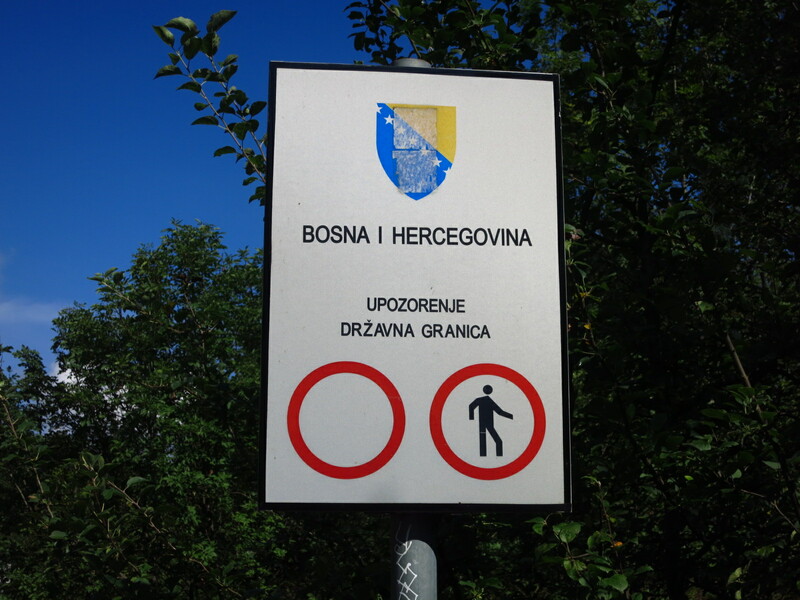 On the map of the natural park and its surrounding that we had been given earlier I had seen a couple of long straight lines that looked like runways and that the border line between Croatia and Bosnia, which generally followed the watershed line along the mountins, turned into the Bosnian side to encompass them in Croatian territory, but there were no labels indicating that it was an airport or that it was in use. Needless to say, my curiosity was piqued, but before I could ask for more information his mobile phone rang and he got engaged in a conversation that was still going on when we reached our stop. Back at the apartment I checked Google Maps, but there was nothing there other than a couple of small villages off the road crossing into Bosnia. Switching to satellite view, however, revealed a sort of access road from one of the villages and what seemed to be at least five runways. 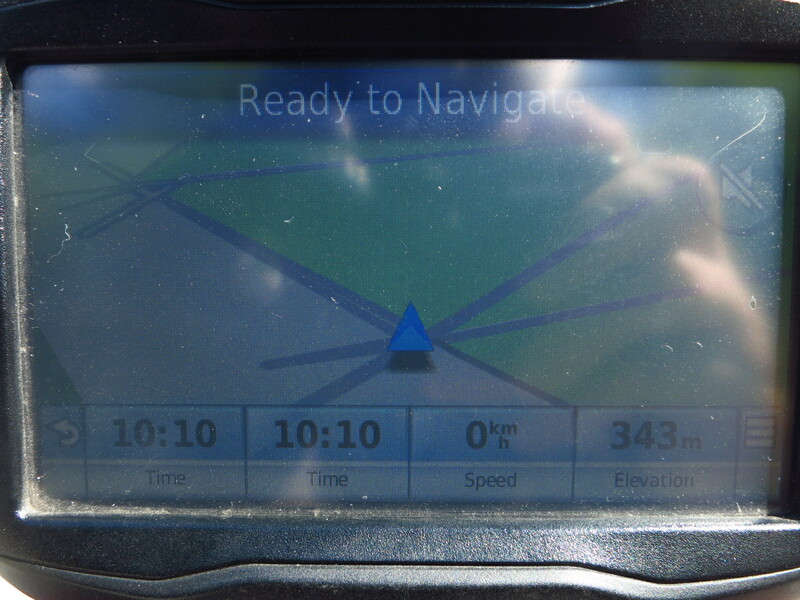 The OSM map on my Garmin confirmed this, and by now I was determined to go and find out what it was. Googling the name of the mountain, I finally found some more information. 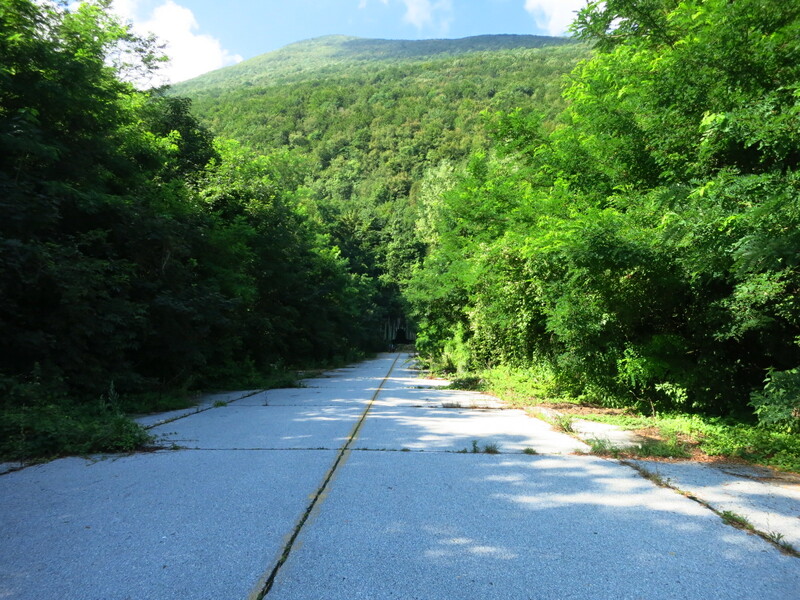 It was not an abandoned airport, but a military base, called Željava Air Base and codenamend ‘Objekat 505’, built between 1948 and 1968 as an early warning radar system for the former Yugoslavia, with a radar station at the top of Plješevica Mountain and an airbase buried deep at the base of the mountain that housed Mig fighter jets inside nuclear bomb-proof facilities. 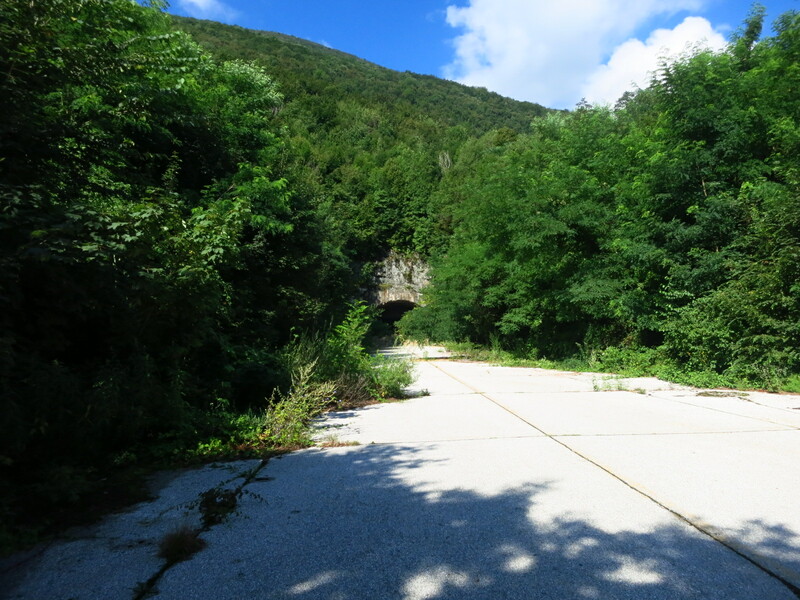 The base saw heavy use during the Balkan War, and when the Yugoslav People’s Army fled the area, they destroyed the runway and the tunnel complex with tonnes of explosives. 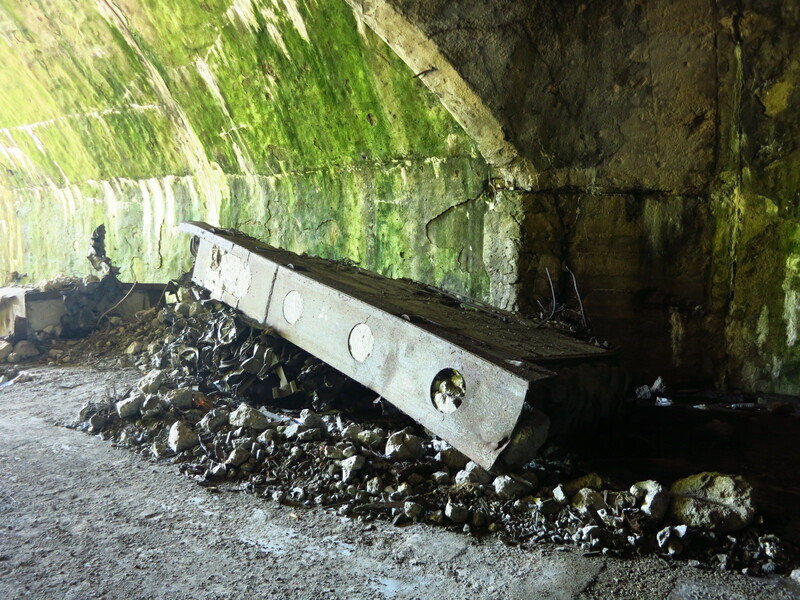 Today the base is completely abandoned and easily accessible from the nearby village of Željava. ‘Easily accessible’ does not imply that it is safe nor advisable to do so. 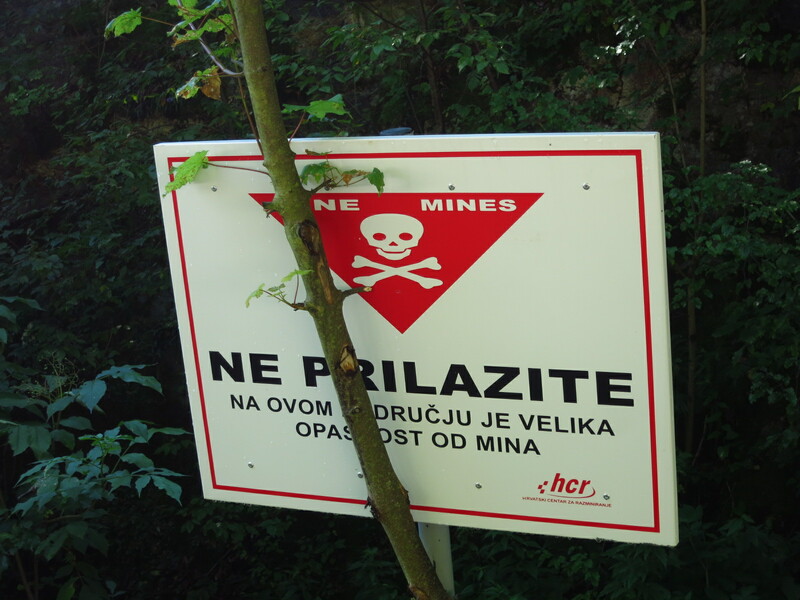 Being a military facility, the area was heavily mined, and those mines have still not been cleared today. 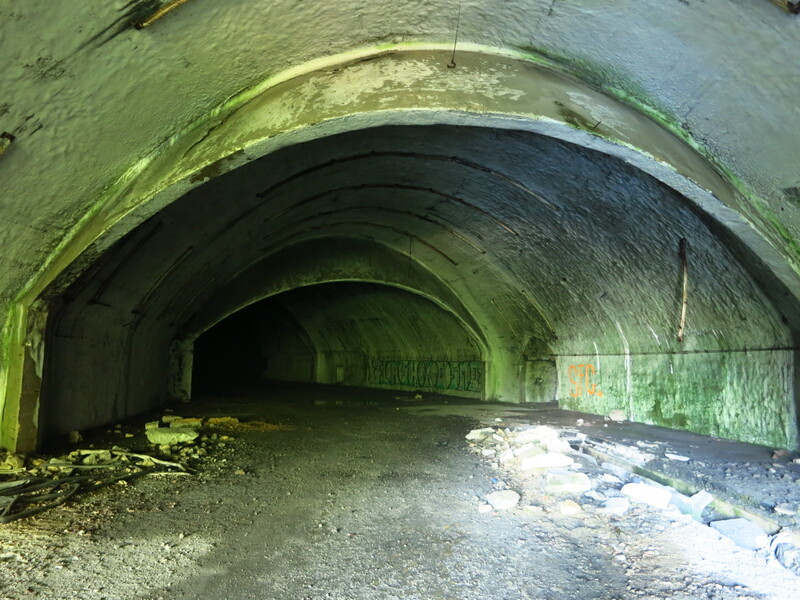 Inside, the structure was heavily damaged by the detonation of more than 56 tonnes of explosives, and there are large amounts of cancirogenig PCB dust and radioactive americum from the destroyed fire detection system. Right, so the only thing left to do was explain to Nat that we were going to be a few hours late to the beach in Omiš. And not mention the landmines. 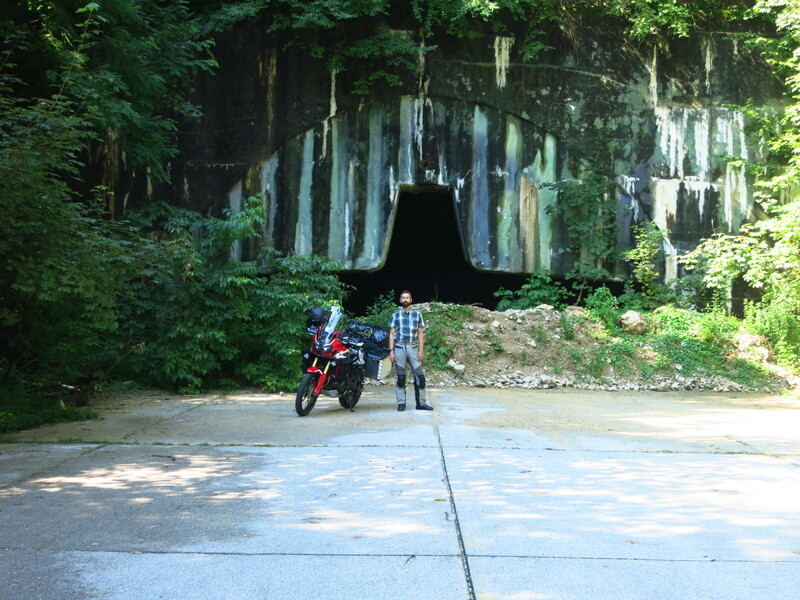 Thanks to the OSM maps we found our way to the town of Željava very easily after a nice ride to the other side of the mountaing range, and from there a narrow road that the vegetation on both sides was eating up led to a rusting gate that marked the entrance to the complex. 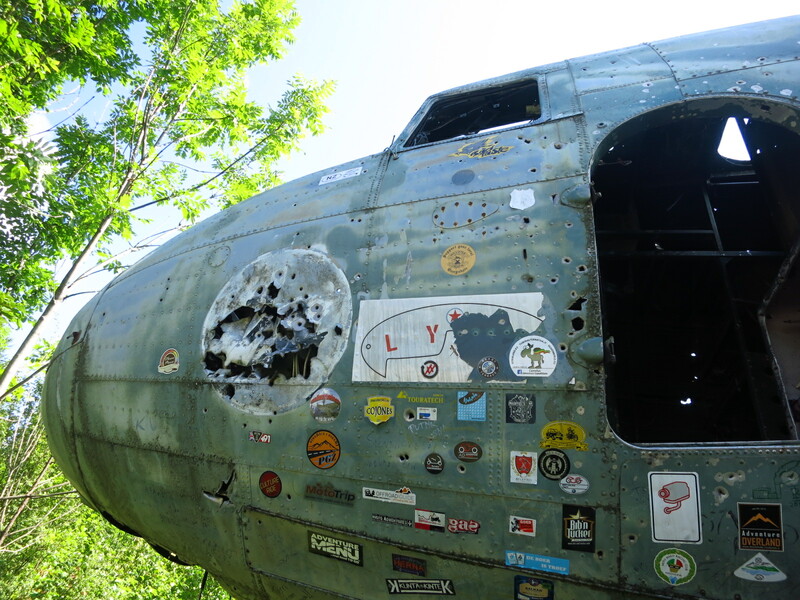 Next to it, the first surprise of the visit, standing in the overgrown bushes – a DC3. We got off the bike and I told Nat not to walk outside the paved areas or paths that had been clearly trodden before because there were mines everywhere. She gave me her worst ‘divorce’ look. Riding on past the gate and with more bushes and trees closing on the road, we reached the intersection of the three main runways, and to our right, the entrances to the underground complex. The central one was specifically designed for fighter jets, and on the other two the damage from the explosions was clearly visible, with huge chunks of thick reinforced concrete hanging from the arched ceiling and part of the enormous concrete and steel pressure doors lying on the ground. 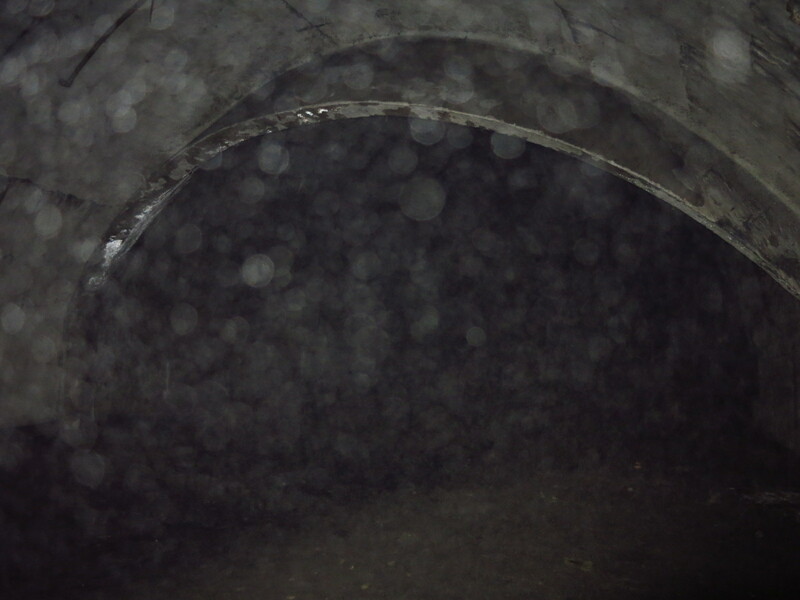 I had a powerful torch with me and started to wander down the tunnel, but the air was rarified, and a picture with flash revealed the amount of dust in suspension in there, so I did not want to venture any further in without wearing a mask. We’ll have to come back someday before the EU hears about the place and orders it shut. 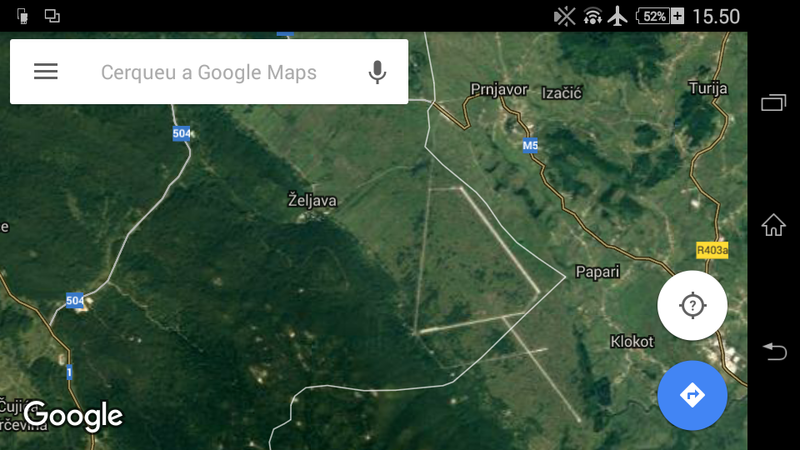 We then rode on a fourth runway that cut across the border between Croatia and Bosnia. Halfway through it there were some concrete blocks that prevented us from riding any further and signs on both sides forbidding the crossing, but there was no surveillance. Here we are one on each side of the border, Nat in the EU and me outside of it. 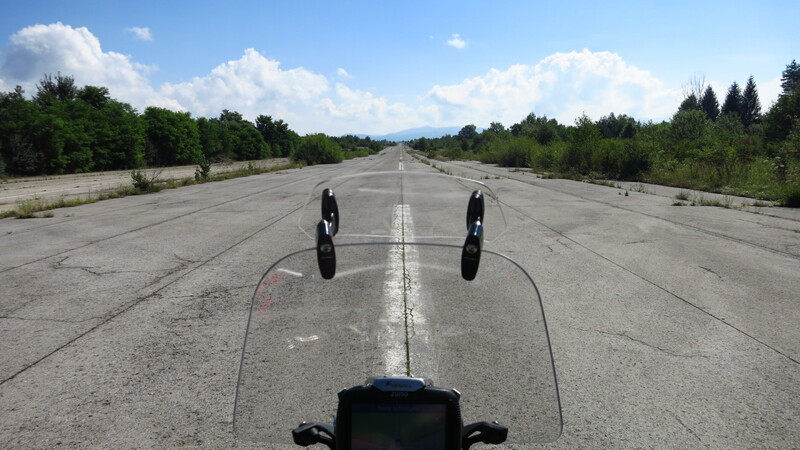 After that we made a full power run of the main runway on the motorbike (who wouldn’t!) 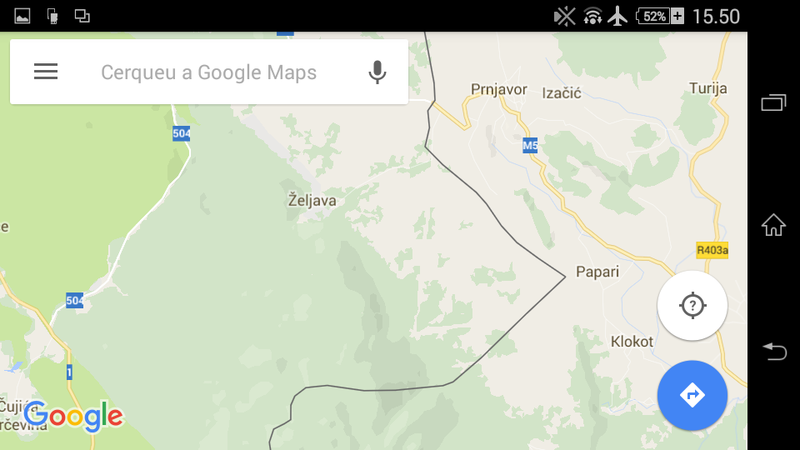 and happy not to have been blown to oblivion by some forgotten landmine, we headed back to Korenica and the road south to Omiš. Since my first visit to Croatia, the motorway that crosses the country roughly following the coast has practically been completed, taking most traffic away from the B roads that used to be the only way of getting around the country. This meant that roads that were previously hell to travel in (hours stuck behind lorries and slow moving traffic) were now gloriously empty. 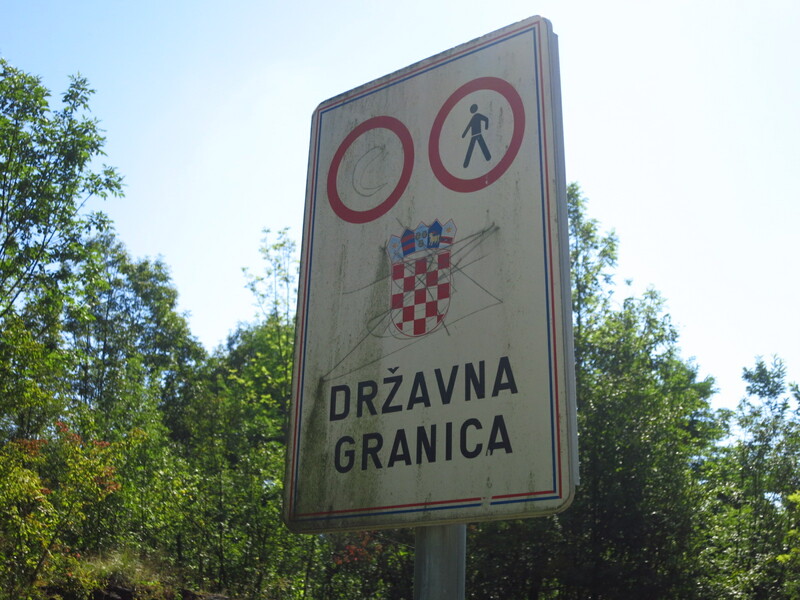 If you come to Croatia by bike, stay away from the motorway, the roads and the landscape in the interior are a gem. We got to Omiš by mid afternoon in 35-degree heat and were delighted to find that the woman we were renting the apartment form greeted us with a couple of chilled beers. 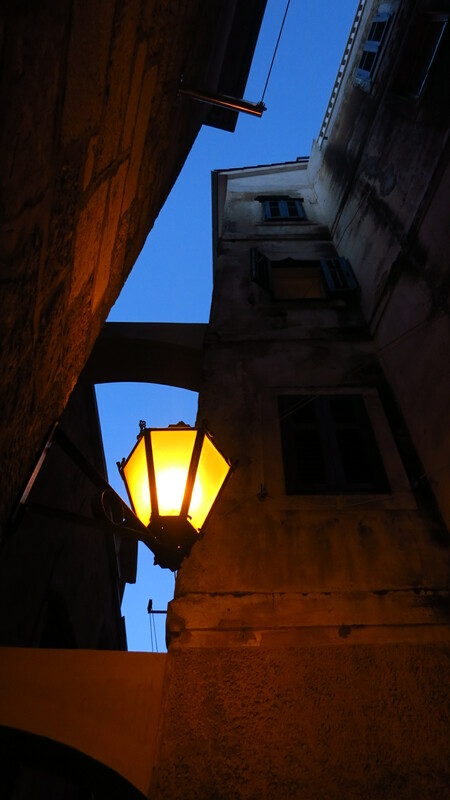 I love this Croatian custom! After unloading the bike and a cold shower, we changed clothes and took a walk to the centre to start our four-day beach break with a huge fish platter. 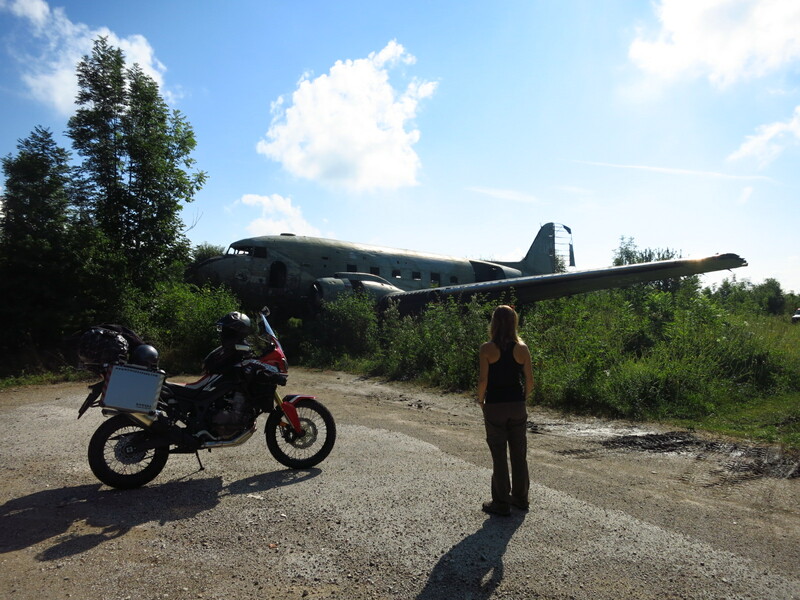 This entry was posted in Balkan Adventure 2016, Travel and tagged Abandoned, DC3, Honda CRF 1000L, Omis, Plješevica Mountain, Yugoslavia People's Army, Željava Air Base by Kilian. Bookmark the permalink.